Suffolk duck producer, Gressingham Duck, has teamed up with luxury hotel group, Hand-picked Hotels, to launch an extensive new on-pack competition as part of it’s on-going ‘Dine in with Duck’ campaign. 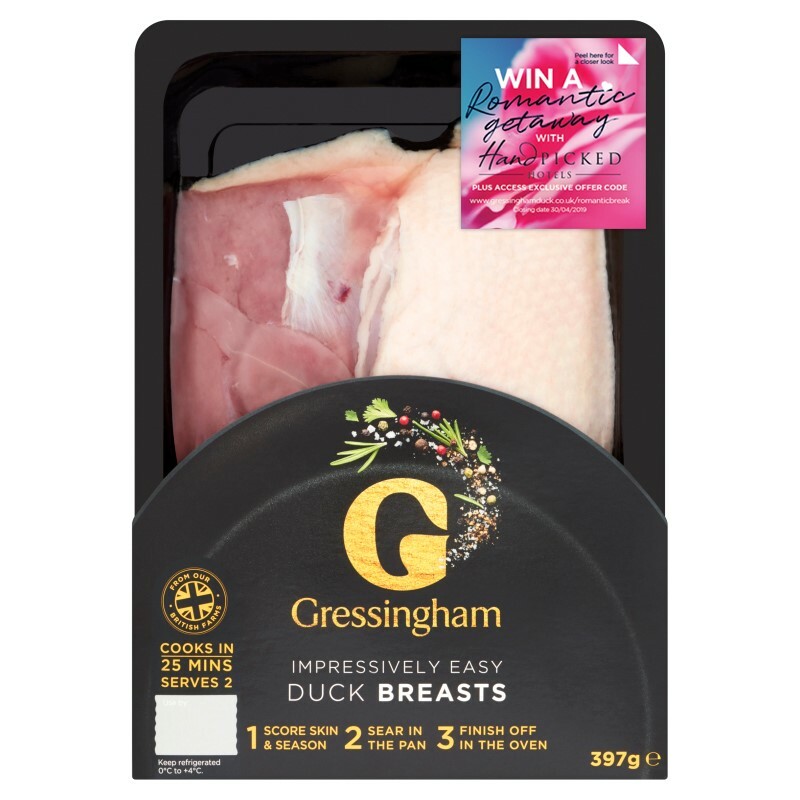 Running throughout February, March and April through all of Gressingham Duck’s retail channels, the new ‘Love is in the Air’ competition will feature across 500,000 packs of Gressingham Duck and will give lucky purchasers the chance to win a range of Hand-picked Hotel luxury prizes. A special on-pack fold out sticker has been designed, offering recipe ideas and serving suggestions and details of how to enter the competition online. There are three Hand-picked Hotel prizes up for grabs: a Romantic Getaway for two, £100 Hand-picked Hotel experience gift voucher and a Champagne Afternoon Tea for Two. “We are very pleased to be hosting this competition with Hand-picked Hotels,” said Rebecca Alderton, marketing manager at Gressingham Duck. “With over 500,000 stickered packs going out onto retail shelves we expect this competition will help drive excitement with our core consumer base and appeal to new shoppers looking to experiment with duck. “Our overall aim is to increase our rate of sale and entice new customers to purchase and experiment with duck as a special meal for any occasion. We also expect it to drive traffic to our website where we can offer lots of tips on how to cook and enjoy delicious duck,” said Alderton.